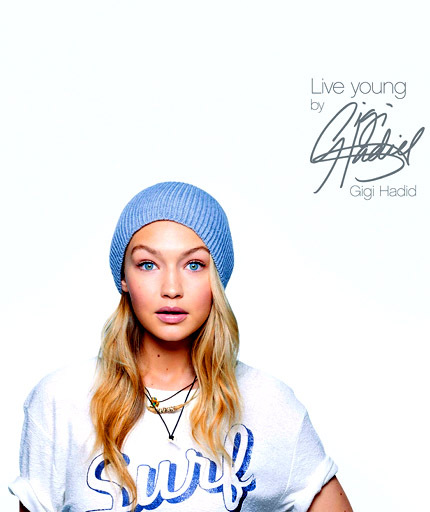 Gigi Hadid stars in her cutest campaign yet! The supermodel and her surf-baby doppelgänger can be seen in Evian's new "Live Young" campaigns. "I enjoyed getting to re-enact the faces of my surfer-baby look-alike, loved that they took a beach sporty route, because I'm from Malibu and I know that surfing is more than just a sport it's a way of life. It's so connected to nature that it brings to life Evian's vision of living young as a state of mind."